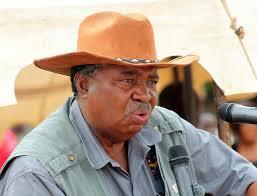 Former vice-president Phelekezela Mphoko’s Botswana-based business partners are demanding $94 million for them to allow him to take over control of supermarket giant Choppies’ local operations. Mphoko’s family is engaged a nasty fight for control of the supermarket chain with their Botswana-registered Choppies Distribution Centre (Proprietary) Limited business partners fronted by former president Festus Mogae. Mphoko and his son Siqokoqela insist they are the majority shareholders of Choppies Zimbabwe through their local investment vehicle, Nanavac, with 51%. However, the Botswana-headquartered business says the Mphokos only own 7% shareholding in Choppies. The Botswana headquartered business — in a letter in the possession of The Standard to Mphoko’s lawyers Mathonsi Ncube Law Chambers and their Nanavac Investment vehicle dated October 20, 2018 — demanded US$94 million for the Mphokos to be given some controlling shares in the business, failure of which they would be elbowed out. They said the money “represents a multiple of 12 times Nanavac earnings before interest, tax, depreciation and amortisation and extrapolated to annual amount to Nanavac’s latest financial statements for its quarter ending 30 September 2018”. The Mphokos were given a November 5 deadline to pay for the shares in terms of the July 24, 2013 clause 13 of the shareholders’ agreement entered into with the Botswana business. “Please let us have proof of payment of the purchase price on receipt of which our clients will deliver to your clients share certificate together with a signed share transfer form made out in favour of your clients,” the letter added. Mphoko’s lawyer Welshman Ncube was unreachable for comment as his mobile phone rang unanswered. The Choppies boardroom war has spilled into the High Court with the Botswana-headquartered company seeking to bar the Mphoko family from interfering with operations of the business. The High Court is yet to decide on the matter. However, in the latest correspondence, Mphoko’s family was warned that failure to pay the US$94 million would result in them being elbowed out of the business. Mphoko’s son Siqokoqela and his wife Nomagugu were recently dragged to court on charges of interfering with the operations of Choppies Distribution Centre and Choppies Enterprises. This followed accusations that they swindled the businesses of a combined $80 000. Last week, Botswana-based Choppies group CEO Ottapath Ramachandran wrote a memo to Choppies threatening to dismiss any employee who deals with the Mphokos.